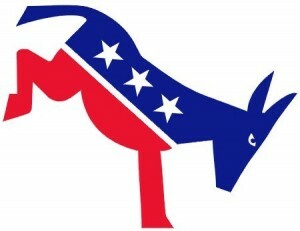 This Saturday March 12, the Alameda County Democratic Central Committee will hold interviews for local candidates seeking the Democratic endorsement in the June elections. The Executive Committee interviewed candidates previously and voted to put a number of them in the consent calendar. Any two members of the Committee can pull nominees from consent, or nominate other candidates. To qualify for the endorsement, candidates must be registered Democrats and pay a $50 fee. They must receive 60% of the votes cast on Saturday to get the Party’s endorsement. Voting is done by personified ballot and requires a signature of the member voting. Ballots are kept by the Committee Chair and should be made available to those seeking to examine them. I will be casting my vote on Saturday and would appreciate your comments on which candidates I should support or not support or what question you want me to pose to them. You can leave them below or e-mail me at margalacabe@gmail.com. I start with the premise that no candidate should get the Democratic endorsement unless they represent the values that the party itself should stand for: a commitment to social justice and civil liberties, transparency and accountability – as well as competency. At the last Committee meeting in early April, the ACDCC also voted to endorse five tax measures that will appear on the June ballot. The following are the candidates that have been nominated for the endorsement. They will be interviewed on Saturday. Incumbent Auditor-Controller Patrick O’Connell tried to pull a fast one on voters and get his Chief Deputy in place by pretending he was going to run for re-election and then not filing. San Leandran Kati Knox noticed and pulled papers for the race. Manning is likely to win in June on the strength of his ballot designation alone. Absent from the list of nominees is Helen Foster, a teacher/school administrator and member of the San Lorenzo School Board. Karen Monroe is the designee of the current Superintendent, Sheila Jordan, which has created a degree of mistrust in political circles. However, she is doing the job and seems to be doing it competently. Jeff Bowser, a School Board member from Pleasanton, enjoys strong support among political figures in the tri-valley and has hired ACDCC Executive Committee member Angela Ramirez-Holmes as a campaign consultant. He has worked for the county district before and appears competent. However, as a School Board member he tried to stop parents from addressing the board on a specific item, in violation of the Brown Act. I know very little about Naomi Eason, other than the fact she used to have Monroe’s job. Apparently she displeased Jordan somehow and was fired. I’m looking forward to hearing from her. I have written extensively about the lack of basic competence and ability to think independently that Ursula Reed has demonstrated as a member of the San Leandro City Council. I am frankly worried about what she would do if elected Superintendent. Needless to say, I will not be voting for her. However, she does enjoy the support of a powerful group within the Committee. Linda Perry, her treasurer, is also a member of the Executive Committee. I don’t think it’s likely that any of the candidates will receive enough votes to get the Democratic endorsement. My own current intention is to vote “no endorsement”, unless one of the candidates does manage to wow me in the interview. Also running for the 2 spots on the city-wide race are Phillip Gallegos, a Performing Arts technician, and Ralph Farias, a Republican businessman. As mentioned above, Ryan “Rocky” Fernandez, a former AC Transit Board member and district director for Assembly Member Bob Weickowski, is on the consent calendar for the endorsement, so only one of the four candidates above will qualify. As an incumbent, Marvin Peixoto should be a shoo-in for the endorsement, but many Democrats are unhappy with all current Hayward City Council members because of their vote to cut employee salaries and criminalize homelessness, among others. Peixoto has the support of Supervisor Richard Valle, a member of the Committee. He has received campaign contributions from the Palace Poker Casino in Hayward ($1261) and assemblymember-turned-lobbyst Johan Klehs ($250). Sara Lamnin is well regarded and received the endorsement when she ran for School Board in 2012. She’s a progressive, with strong commitments to social justice and civil liberties. She also has a lot of government experience, is the current Chair of the Planning Commission and the Former Chair of Hayward Citizen’s Advisory Commission. At this point, I am planning to vote for her. Her campaign treasurer is Linda Perry, a member of the ACDCC’s Executive Committee. Rodney Loché, a planning commissioner does development for an organization that works to find jobs for people with disabilities. He is also being supported by Palace Poker Casino, which has so far given him $1229. He has hired Angela Ramirez-Holmes, a member of the ACDCC’s Executive Committee, as a campaign consultant. Julie McKillop is the owner of Neumali restaurant in Hayward, active in the Chamber of Commerce and endorsed by them. I had a bad dining experience at Neumanli, which she did not handle well so I’m not predisposed to think highly of her. She does seem to be a favorite of assemblymember-turned-lobbyst Johan Klehs who has given her $500 so far. Still, I’m looking forward to hear why she’s running. This is up in the tri-valley. Seven candidates are running for 4 positions, including the four incumbents. Three of the candidates, and two of the incumbents, are Democrats. One of the incumbents, Sarah Palmer, is on the consent calendar. The other Democratic incumbent, A.J. Machaevich, has not been nominated. That leaves Matt Morrison as the only candidate that will be interviewed. Morrison is an environmental activist and I was among those nominating him. I also look forward to hear from him. The endorsement interviews will take place tomorrow morning starting at 10 AM at UFCW Local 5, 28870 Mission Boulevard, Hayward.